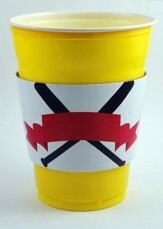 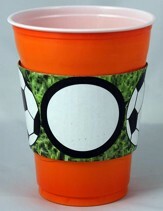 PartySleeves are a fun and functional way of keeping your drink at a party, a celebration, a barbeque, or a church event. 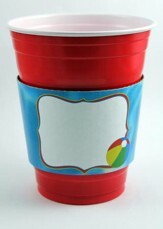 Pack of 12 PartySleeves make any throwaway plastic of paper cup part of your event theme; PartySleeves absorb condensation; avoid the idea of writing on your sweating cup, and getting ink smudged onto you or your outfit. 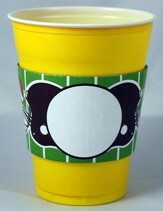 Partysleeves absorb Instead write your name on the PartySleeve to keep your drink your own. 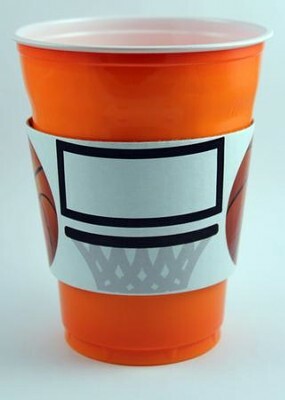 I'm the author/artist and I want to review Basketball Party Sleeves.